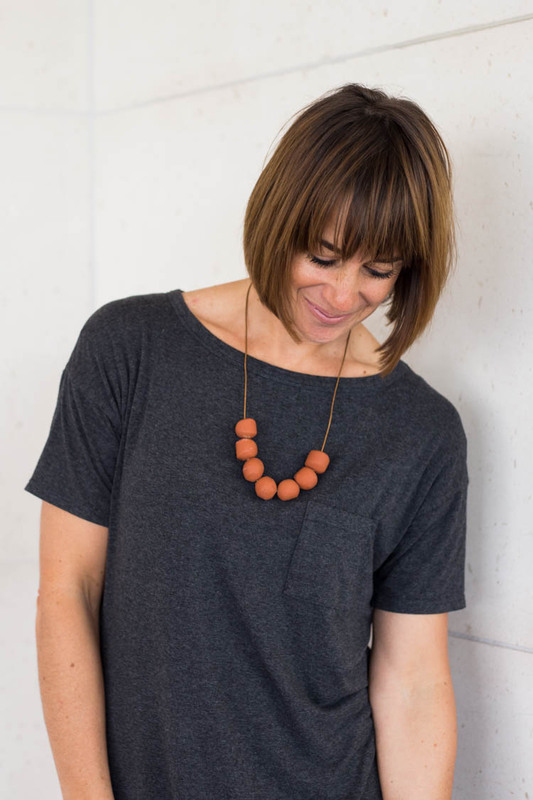 DIY Simple Terra Cotta Clay Bead Necklace - Live Free Creative Co. While digging through my clay box, I pulled out these cool terra cotta clay beads that I made last year. 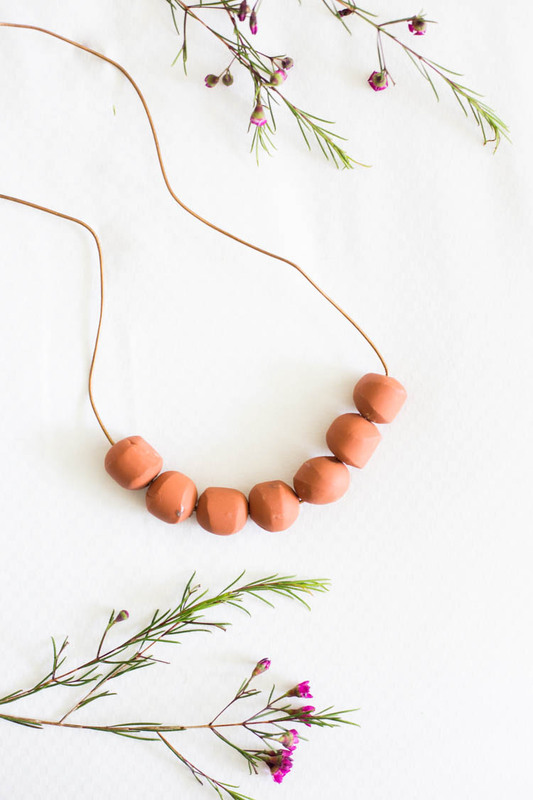 Rolling oven bake terra cotta clay into simple spheres and baking is one of the most simple ways to use clay for a useful accessory. 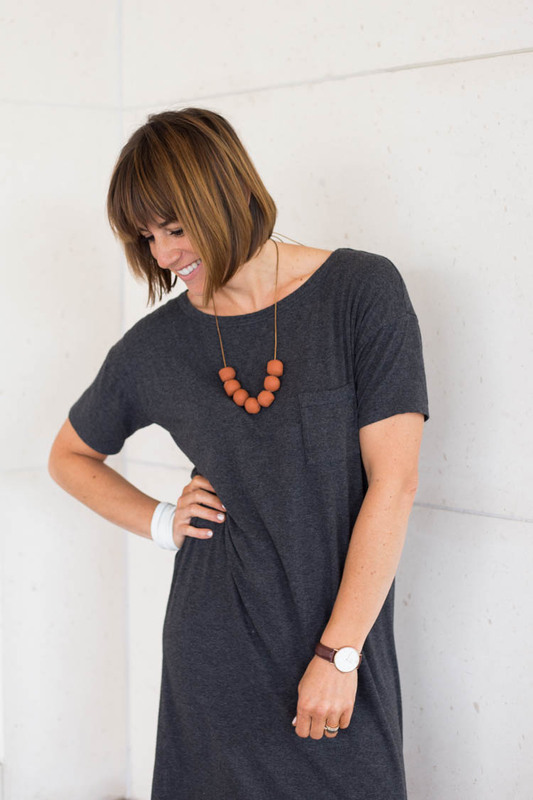 I love neutral and natural accessories, and this pretty terra cotta clay is such a beautiful color. My home is dotted with terra cotta pots for all of my plants, so it only makes sense to add a little to my wardrobe as well. Even the cutest pre-school aged kid gets pretty good at rolling clay into a ball, and that’s the skill level needed for these simple sphere beads. I threaded them onto leather cording and tied a bow in the back, so the length can be adjusted as needed for whatever outfit I happen to be wearing. I can already see this will go into regular rotation. Okay, are you convinced and ready to make your own clay bead necklace? 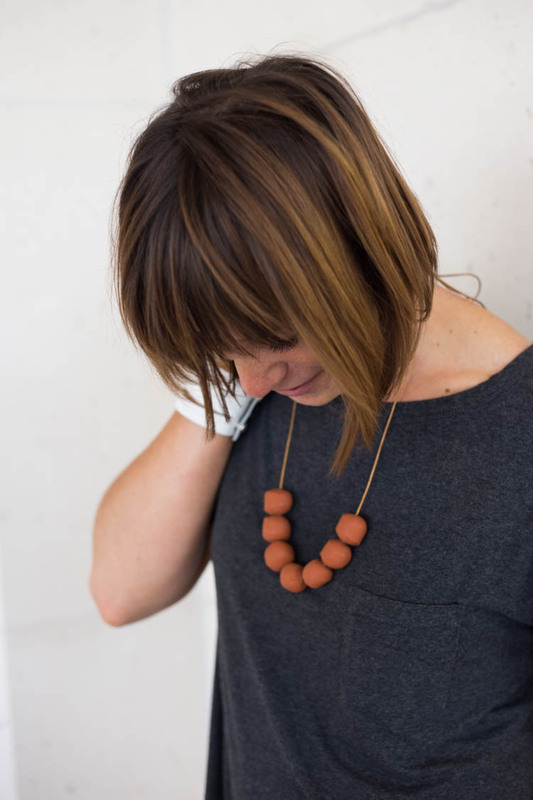 Pull quarter-sized pieces of clay off of the block and knead one between your hands to warm it up. Use two hands to roll each piece into a ball. Thread the balls onto a bamboo skewer to create holes in each bead. Bake at 275 for 15-20 minutes, then let cool. Thread each bead onto a length of leather cording. You’ll Want to Make More! This is one of those projects that I finish and then think I should make these for all of my friends. It would also be super fun as a craft night because it is so simple. 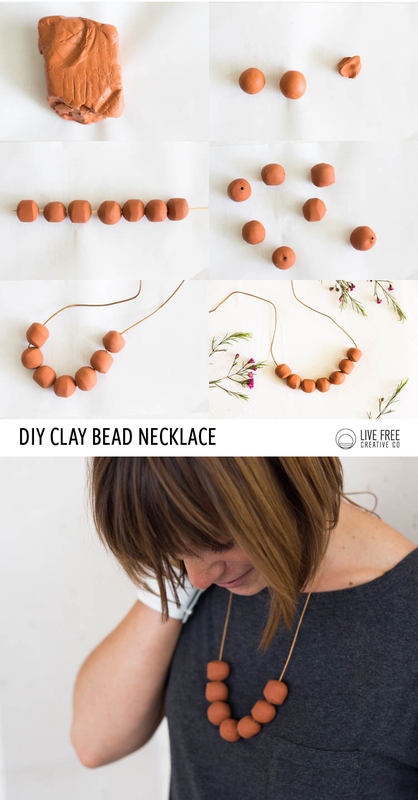 If you love color, take a look at how this same tutorial turns out as a multi-colored clay bead necklace. To check out all of the DIY’s visit my DIY page.